U. of I. computer science lecturer Anna Yershova, right, teaches an interdisciplinary course that teams advertising and computer science students on virtual reality projects. The Illinois Virtual Reality Experience is a “greatest hits” campus tour that was created by students in a unique, interdisciplinary class that teams up advertising and computer science students. Anna Yershova, a lecturer in computer science, and her husband – Steve LaValle, a professor of computer science at Illinois – were two of the early founders of Oculus VR, the California-based startup and maker of the Rift headset for video gaming. 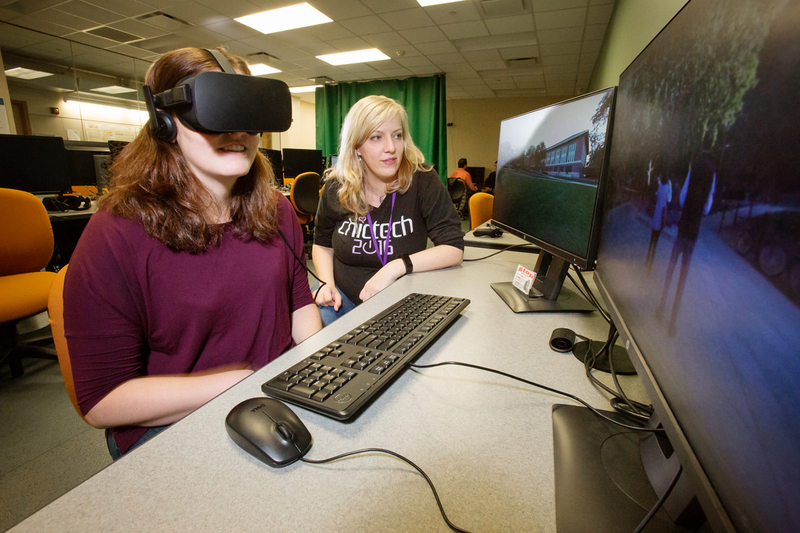 After Oculus was bought by Facebook in 2014, the husband-and-wife duo returned to the Urbana campus and began teaching what was, at the time, the first virtual reality course based on the latest technology, Yershova said. “It started with 100 students, and it has quickly grown in popularity,” she said. Since virtual reality headsets are now a mainstream consumer technology product, Yershova and LaValle have increased the class size and moved to a bigger lab on the fourth floor of the Thomas M. Siebel Center for Computer Science to accommodate demand, Yershova said. 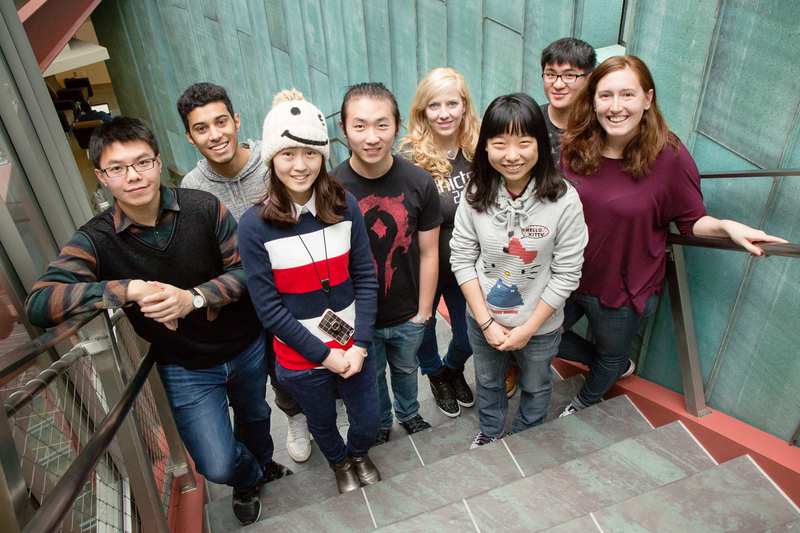 “For the past fall semester, we increased our enrollment to 200 students, and we now have a bigger lab with 21 workstations and a room you can walk around in,” she said. Yershova realized early on that the class could benefit from an interdisciplinary approach. For one of the fall semester’s projects, Yershova partnered with advertising professor Michelle Nelson’s class to create a virtual tour of the Urbana campus. “It’s a showcase of these famous locations on campus that we think are cool, and we used virtual reality to explore them,” said Jake Zhang, a graduate student in advertising from China. The tour starts, of course, at Alma Mater. the Activities and Recreation Center, Zhang said. The video could easily double as a recruiting pitch for prospective students or as a virtual tour of haunts old and new for alumni. Rishi Kumar, a junior from Naperville, Illinois, studying computer science who took the course, said the experience has changed his outlook on his career prospects. Plus, it also doesn’t hurt that playing in the virtual reality sandbox is fun, Kumar said.